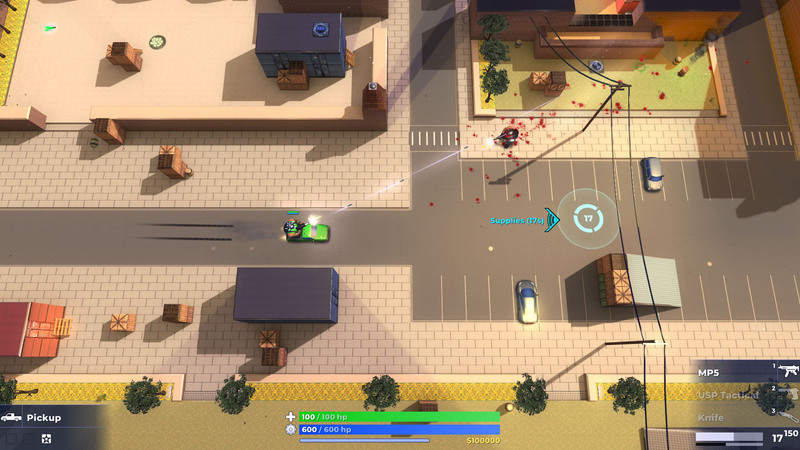 Geneshift is a GTA-inspired battle royale where each round lasts only two minutes. Use explosive vehicles, miniguns, invisibility, and more to outplay friends in tactical online combat. Then unlock powerful abilities as you blast through the online co-op campaign. Be the last man standing in the Battle Royale mode. Each round only lasts 2 minutes! Play through the tongue-in-cheek storyline, either solo or with up to 4 friends online. 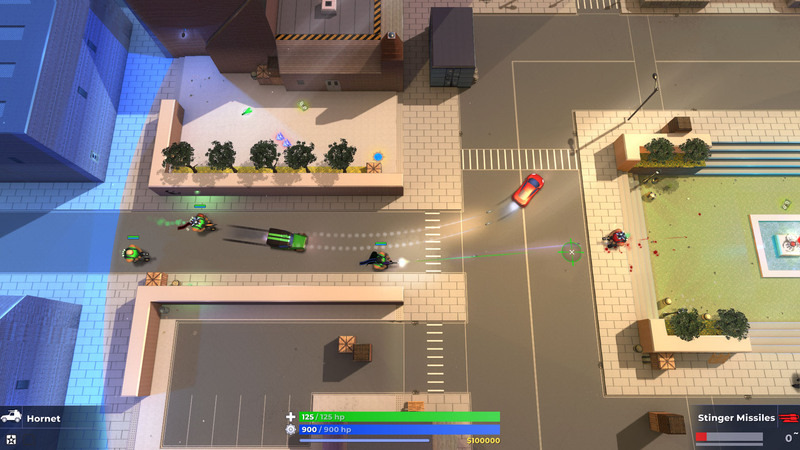 Battle in modes such as Capture the Flag, Checkpoint Racing and Zombie Survival. Fire pistols, shotguns, snipers, explosives... or save up for the deadly superweapons. Ride with allies to do drive-by shootings, detonate car bombs and capture key objectives. Create complex skill builds as you gain experience and permanently level up your mutant. 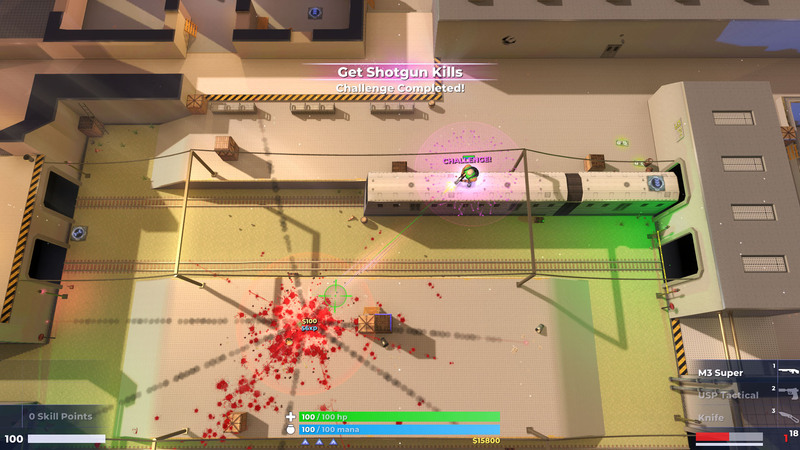 With over 30 skills you can enjoy all play styles - deflect enemy bullets with Force Fields, go rogue with poison and invisibility, or bounce bullets off walls for that perfect sniper shot! Place hidden chemicals to gain secret benefits, like spying on enemies and teleportation. Your chemicals are invisible to enemies but there's a really cool twist; enemies can still destroy them if they correctly deduce where you have placed them. Lots of mind games! 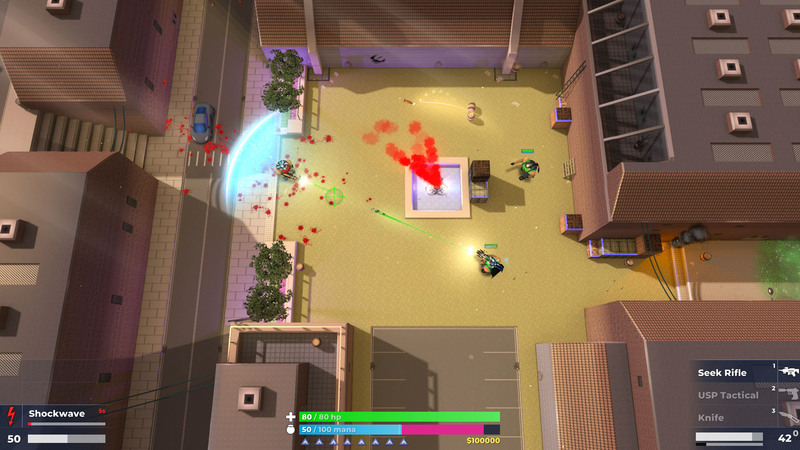 Replay the campaign in 4 difficulty levels and set high scores on various leaderboards. Earn ranks in competitive servers that balance teams with a unique ELO rating system. Create maps with the built-in map editor. Earn credits whenever your maps are played. Unlock awesome cosmetic items such as capes, glowing bullets, lightsabers, and more! Geneshift was first released back in 2009 under the name of Subvein. It was later renamed to Mutant Factions and now finally - Geneshift. With the help of the community it was developed as a hobby until 2014, when Geneshift got Greenlit on Steam. At this point I quit my job and spent two years living in Peru to work on it full-time. It's cheaper there (and sunnier!) and this let me stretch my savings long enough to finish the game properly. Geneshift launched on Steam Early Access on May 23rd, 2017 for both Windows and Linux. If you want to write about or stream Geneshift on youtube or twitch then please do! Monetization of your videos is perfectly fine. Go nuts! There is a demo available on Steam too. Hit me up on Twitter @Geneshift if you have any questions.